Good morning, KU fans. Here at David Booth Kansas Memorial Stadium, as KU closes out the 2018 regular season with a matchup against Texas. Good morning and Rock Chalk. One last football game for the year/season. I thank the seniors for their hard work over the last few years. Burnt orange, bleachers and blue at today's #kufball game. Opening kick goes out of bounds. #KUfball will open this game with the ball at own 35-yard line. Les Miles isn't at today's game - for those who are wondering. With his family for the holiday. 3 and out for #KUfball offense to open the game. Great punt by Kyle Thompson follows. 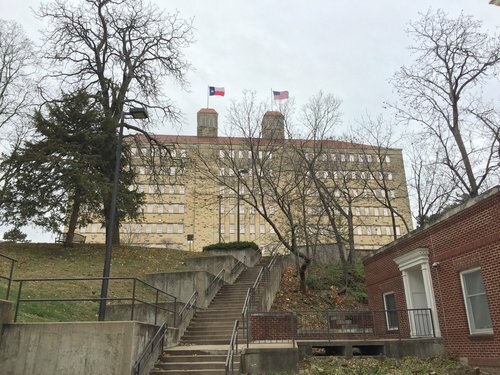 UT opens on its own 2. Ehlinger 5 of 5 passing to open this game, 55 yards. My fear early on is that the only way to stop UT is a penalty or turnover. 3rd & 10 at KU 26-yard line. 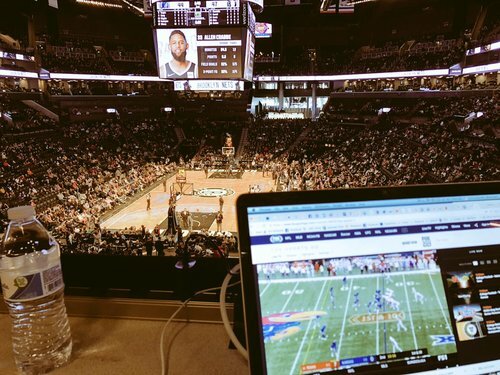 Some actual crowd noise from KU fans. But Ehlinger hits Collin Johnson down the right sideline for a TD. Longhorns up 7-0 following an 11-play, 98-yard TD drive. "I feel like I'm in a library." -KU fan in front of me describing how empty and quiet memorial stadium is today. Sims able to return this kickoff and finds some space to operate. Near INT from Bender on 3rd and long looking for Pooka Williams. Some friendly bounces on Kyle Thompson's latest punt helps it roll 76 yards. UT opening its 2nd drive inside own 5 as well. Texas scored on a 98-yard drive on the first possession. This would just be a 96-yard drive, if it were to score here. So who is Les Miles going to get for QB next year? Miles Kendrick? 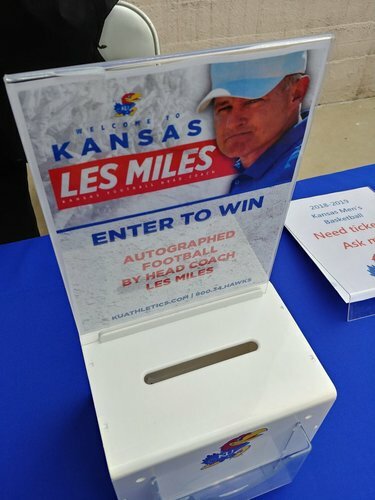 You know, now that I think about it, with their punter and Pooka, Kansas might win the Big 12 under Les Miles next year. Joe Dineen can't believe he didn't just pick off Ehlinger. Would've been Ehlinger's first INT since Week 1. Our defense is going to be gassed by the start of the second quarter. It's 7-0 Texas entering 2Q. Jayhawks had 1 1st down and 30 yards of offense on nine plays in 1st. Another stop for KU's defense. UT has punted on its past 2 possessions. 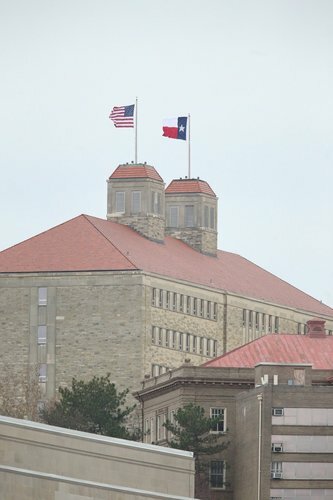 • The game turned when: People noticed the Texas flag on Fraser Hall.